When Halloween rolls around, what mask will you wear? 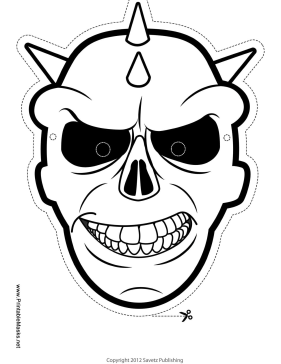 This printable skull mask has a mean grin, spikes, and no eyes. This mask is free to download and print.